Continuing the excitement following PBS’ filming of the final phase of The Map of Our Neighborhood D3 @ PSP had full attendance both days this week! 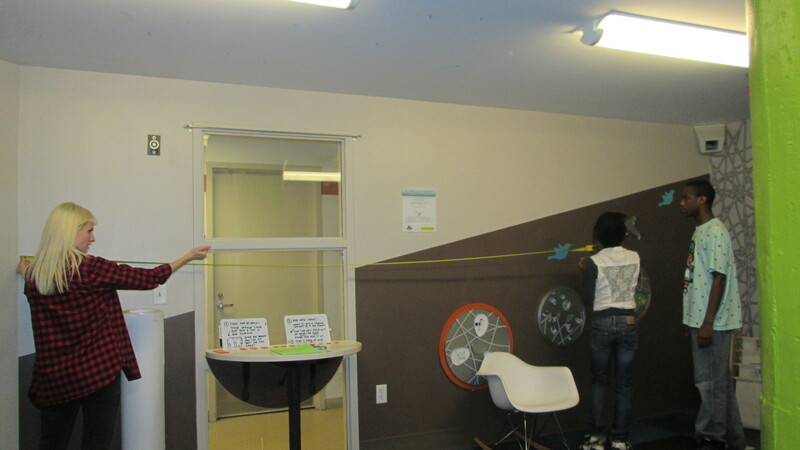 Already nicely designed, the lounge space has an active mural the teens are inspired to add some life to. We have begun to design a solution for moving our workspace from the Rec. Room back to the family lounge space on PSP’s fifth floor. 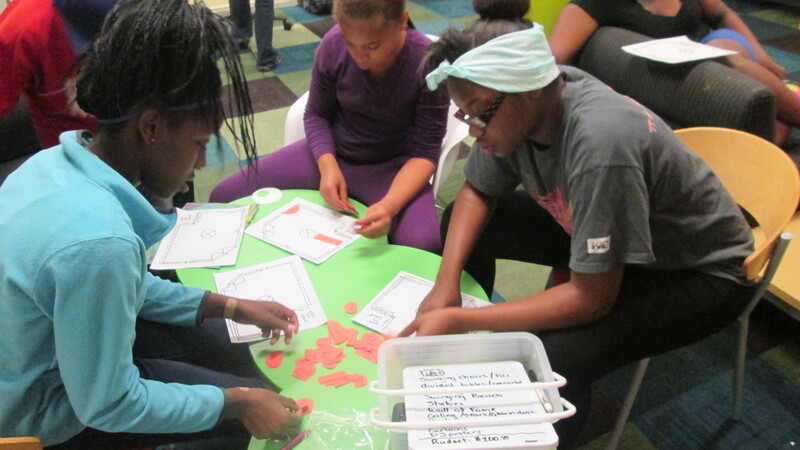 In digging deeper teens identified that they need a more focused, creative, inspiring, space that has less distractions like the toys and loud, open space in the Rec. room. Taking measurements to create a floor plan. 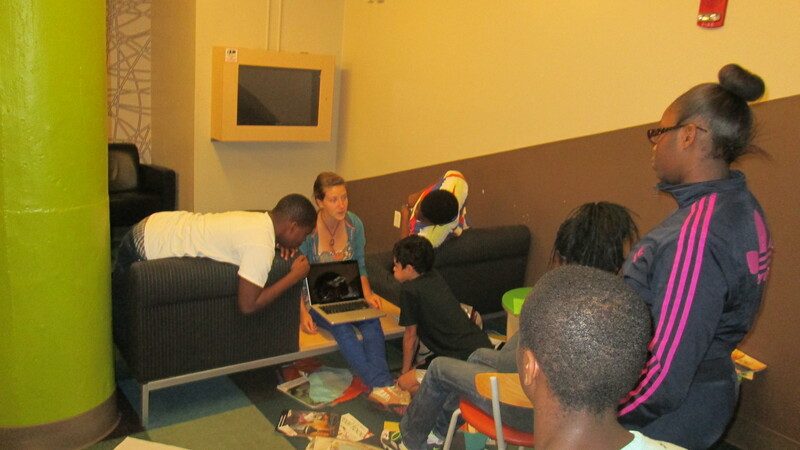 After searching through magazine and online clippings for inspiration teens presented their ideas to the group. Teens shared ideas like: A “hall of fame” to honor and leave a mark by all of the teens who pass through D3 @ PSP; posting inspirational quotes on the wall; feature natural components; have a work table that separates for individual work and comes together for group work; and incorporating new lighting ideas. Some teens said things like, “My mind is blown!” after seeing a slideshow of designer’s workspaces and hand made furniture curated by facilitators. “My mind is blown” one teen said while viewing the workspaces of design teams. In the Digging Deeper phase teens wrote out a problem statement that began to define how the D3 space needs to feel and how the redesigned space will benefit the greater PSP community. 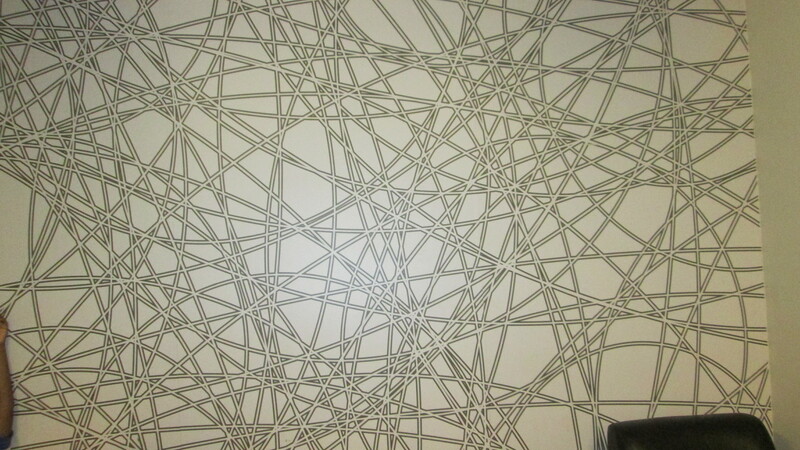 Then they worked with cut paper to create possible floor plans with the existing furniture in the space. Next week we will continue to work in the new lounge space, brainstorm a bit more about how the space can be used for teen programming, critique floor plans, plan out their design proposal, and create a space use proposal to be sent to PSP management. The teens are excited about a more sophisticated, creative space and the opportunity to design a better workroom for the future of D3!